Once upon a time there were three bears. Papa Bear was the biggest. Mam Bear was medium. Baby Bear was just a little baby. They lived in a cottage in the woods. Every morning, mama Bear would pour porridge in every dish. Then the bears would go on a morning walk. Goldilocks was a girl with curly hair and a bow with a black and purple dress. She peeked inside the cottage. After her long journey she got a little hungry. She saw there was some porridge on the table. She tried the first one. "This one's too hot." She tried the next one. "This one is too cold." She tried the little one and she ate it all up. Goldilocks decided to sit on a chair. The first chair was too big. The next chair was too small. The last chair was just right and then it broke! Then she wanted to take a nap. The first bed was too hard. The second bed was too soft. The last bed was just right and she fell asleep. The bears came home. Papa Bear said, "Someone's been eating my porridge." Mama Bear said, "Someone's been eating my porridge." Baby Bear said, "Someone's been eating my porridge and gobbled it all up!" "Someone's been sitting in my chair," Papa Bear said. "Someone's been sitting in my chair," Mama Bear said. "Someone's been sitting in my chair and broke it to bits!" said Baby Bear. "Someone's been sleeping in my bed," said Papa Bear. "Someone's been sleeping in my bed," said Mama Bear. "Someone's been sleeping in my bed and she's still there!" said Baby Bear. At that moment, Goldilocks woke up and ran downstairs. The bears tried to follow her but they tripped and fell down the stairs. Goldilocks ran out the door before they could catch her. 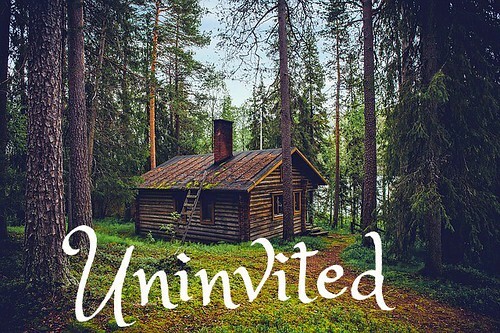 Never go inside a person's house without being invited.